Water Conditioner vs Water Softener: What’s the Difference? If you’ve noticed that you have hard water, you might be looking for a way to fix that. This leads to suggestions of water conditioners and water softeners. Obviously, if you’ve never had to deal with the process of improving your water, this may seem like a daunting task. The good news is that once you know the differences between a water conditioner and a water softener, you’ll be able to create a solution that’s right for fixing up the water in your home. So, if you’re here to attempt to clean up your water, keep reading so you can learn the difference between water conditioner vs water softener. Both water conditioners and water softeners can ease some of the pains of hard water. Now let’s look at the difference between water conditioner vs water softener, so you know which will get your water back on track! A water conditioner is something that changes and usually improves the water quality in your home. There are a variety of water conditioners on the market and they focus on different aspects of water improvement. For example, one water conditioning system may remove chlorine or help to improve the taste of your home’s water. So, What’s a Water Softener? A water softener is a type of conditioning system that’s one job is to reduce the hardness in your water. 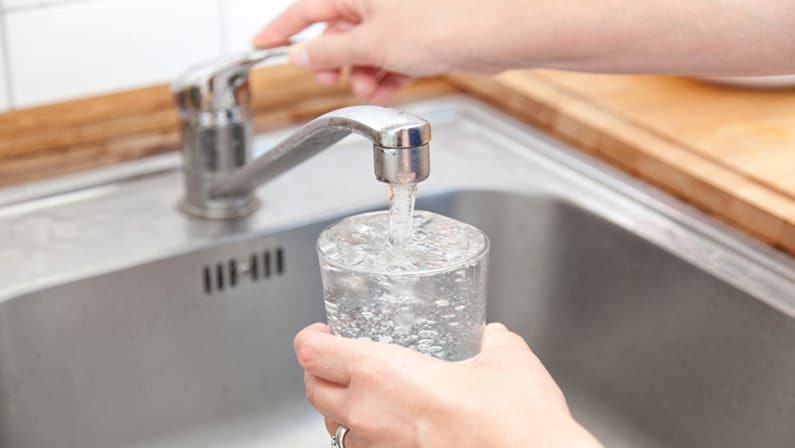 Water softeners remove hard minerals like calcium and magnesium, which are two of the most common minerals causing hard water. Water softeners work through what’s known as ion exchange. When this happens the calcium and magnesium are pulled from your water and replaced with sodium ions. As these minerals are essentially flushed from your water, the result is softer water that removes the problems often listed in this article. Water Softener vs Water Conditioner – Which is Best? Many areas have outlawed salt-based water softeners. This includes more than a few areas in California. The thing to remember is that a water softener improves the quality of the water, reducing or removing the minerals that are causing problems. Water conditioners will attempt to improve the water quality as well, but there is no ion exchange involved. The water quality may improve, but it may not improve as much as if the minerals were removed or exchanged. Also important is the issue of water filtration. While a water conditioning system may include water filtration, a water softener usually will not. In the end, unless your water is extremely hard, a water conditioner should be able to improve the quality. In cases of harder water, a softener may be what’s needed to do the trick. If you have any questions, feel free to look around for more tips and tricks on improving your water. You can also leave us your questions in the comments!